Cassandra Felicity Bradford. Image courtesy of RAeC Trust. 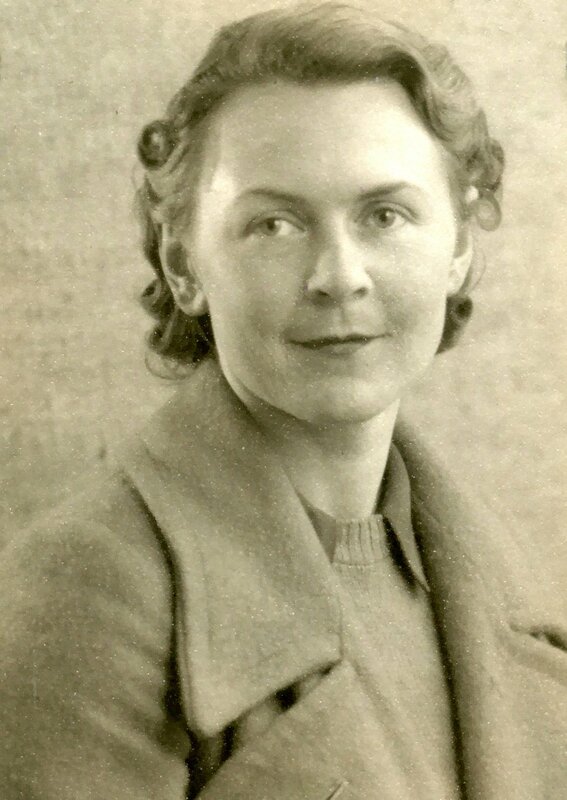 Cassandra Felicity Bradford was born in 1915, the daughter of Margaret and Lieutenant Colonel Edward Austen Bradford. Two names leap out to lovers of classic fiction which indicate Felicity’s family history. Cassandra Austen was the sister of Hampshire author Jane Austen. Edward Austen (later Knight) was the brother of Cassandra and Jane. He was Felicity’s great, great grandfather. The few reports that exist about Felicity refer to her by that name. Only on official documents, does Felicity use her name of Cassandra. Felicity was eleven years old when her parents brought the family to live in the Hampshire village of Chawton. They occupied Chawton House. 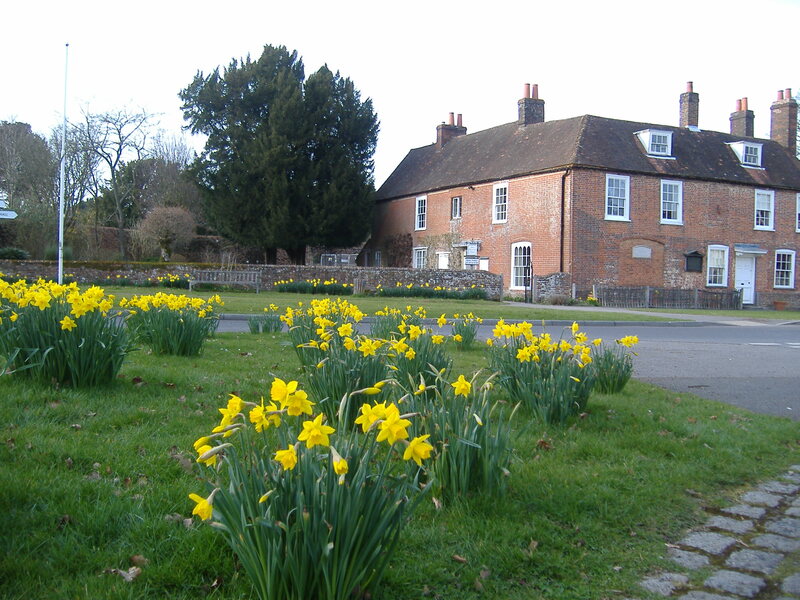 More than 100 years earlier sisters Cassandra and Jane Austen lived nearby in the same village. The online archive of St. Mary’s Calne School Newsletters and Old Girls Association, makes fascinating reading. It reveals that Felicity was educated at this Wiltshire boarding school, as were her two sisters Adela and Diana. Felicity was keen on sports. She was in the netball and Lacrosse teams. She was also practical. In 1933 she did a domestic science course for a year. At this time her family moved to Burgess Hill, Sussex. It was from here in the same year that Adela married Captain Fergus Gleeson of the Indian Army. The Sevenoaks Chronicle reported that Felicity and Diana were bridesmaids. The Burgess Hill address and Adela’s time in India with her husband may be an important connection to another woman pilot, Katherine Margaret Gill, who will be the next aviatrix to be added to this site. Felicity Bradford showed commitment to her faith in 1935 when she gained a pass in Divinity with Distinction. At this time she and Diana moved with their parents to Petworth, Sussex. The following year Felicity took a secretarial course in London. She then gained employment as a private secretary. Diana had ambitions to become a doctor and worked in Oxford towards that aim. Two years later Felicity did the same as many other young women who threw caution to the wind. She joined the Civil Air Guard to learn to fly. She chose the South Coast Flying Club at Shoreham Airport where the Chief Instructor was the legendary Cecil Pashley. Flight magazine reported that Miss F. Bradford flew solo for the first time at the end of February 1939. In late March she qualified for her Royal Aero Club “A” licence. She didn’t stop there. In July she competed for the Zoe Beadle Trophy. She came third behind two male pilots. Some time before this her parents moved to Liss in Hampshire. The printed proof of this may help to explain Felicity’s sudden desire to learn to fly, in preparation for the coming war. There is evidence that Edward and Margaret came to the aid of a refugee couple trying to flee impending death in Austria. In April 1939, the “Domestic Situations Wanted” columns of British newspapers, from mighty publications like The Times to small local newspapers, carried many adverts placed by Jewish and Non-Arian Christians (who were counted as Jews by Hitler). All advertisers were still in or around Austria. Some claimed to have the necessary official documents to depart. All were seeking work here. Desperate to leave Nazi rule, their adverts make heart-rending reading today. How many of them actually managed to flee to safety, we will never know. Proof that this is Felicity’s family is provided by the 1939 Register taken in September. Living at Empshott Lodge were Edward, Margaret, Felicity Bradford, plus two staff. Felicity’s old school, St Mary’s Calne, confirmed her address in Liss in the 1939 Old Girls Newsletter. How the Bradford family knew the Austrian couple is not specified. If Felicity was hoping to use her flying licence to go into Pauline Gower’s women’s section of the Air Transport Auxiliary, she had to wait her turn. Instead she joined the Women’s Auxiliary Air Force as Aircraft Woman 2nd class. The London Gazette reported her promotion to Assistant Section Officer from 1 June 1940. Ten months later her moment came. She resigned from the W.A.A.F and transferred into the A.T.A. Lettice Curtis, in ‘Forgotten Pilots,’ gives Felicity’s start date as 1 May 1941. Two months later she returned home to Liss for her wedding. In July she married Group Captain Peter Hugh Bragg, son of Reverend Tom Bragg. Her old school newsletter recorded her name change. It reported, Felicity Bragg (Bradford) was in A.T.A and revelled in her flying. At the end of September 1941 the first Women’s Ferry Pool started at Hamble, Hampshire. Margot Gore (Commanding Officer) hand picked the team she wanted. Rosemary Rees was her Deputy. 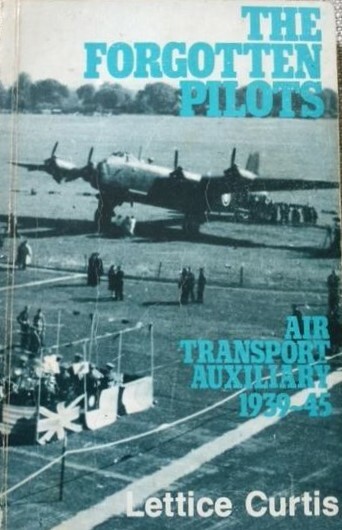 The other pilots were Philippa Bennett, Lettice Curtis, Jackie Sorour (Moggridge), Connie Leathart, Ruth Lambton, Ann Douglas, Audrey MacMillan and Audrey Sale-Barker, and Felicity Bragg. For Margot to select Felicity to be the ‘junior’ tells us something of the potential she saw in her. This makes Felicity’s rapid promotion, to Deputy Commander at the second all-women’s ferry pool at Cosford by 1944, all the more remarkable. Pauline Gower too must have judged Felicity to be a good leader and calm under pressure. Testament to that pressure is when her husband Peter was captured and became a prisoner of war. Before that he was a Wing Commander in the Western Desert. In October 1942, Flight magazine reported that he led fighter pilots to strafe a train transporting explosives to the Alamein line. Bombers hit the train. Debris from the explosion struck Peter’s wing. He survived this. A few months later he was not so lucky. RAF Evaders by Oliver Clutton-Brock. The RAF reported Wing Cdr. P. H. Bragg was missing in February 1943. By July 1943 his status changed to Prisoner of War. There was in fact a delay in the RAF reporting this. His National Archives record states he was captured on 6 December 1942. Somehow, several months on, he managed to escape from the Germans in Italy and reached Berne in Switzerland. Historian Oliver Clutton-Brock sheds some light onto what happened next to Peter. 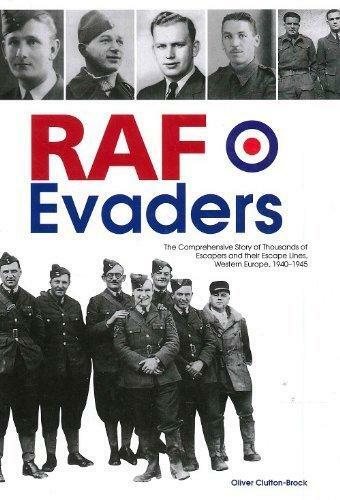 His book, ‘RAF Evaders: The Comprehensive Story of Thousands of Escapers 1940-1945,’ states Wing Cdr. Bragg was at Arosa Internment Camp (Switzerland). He had arrived from Italy in November 1943. By 1944 he was Senior British Officer of the RAF internees at Arosa. Peter Bragg’s National Archives record gives 22 September 1943 as the date he was interviewed in Switzerland. Waiting for news daily about her husband, from the time he was captured until he reached neutral Switzerland, must have stiffened Felicity’s resolve to carry on. Her old school newsletter in 1944 reported that she had been the first to take two highly technical courses. She had also qualified to fly four-engine bombers. There were only ten other women equally qualified. One was her senior at Cosford, Commander Marion Wilberforce. Marion was one of the ‘Original Eight’ ATA women. At this point with Felicity promoted to Captain and Deputy C.O. at Cosford, Lettice Curtis refers to her by the name of Fay. This appears to be a pet name used by her family and friends. Captain Felicity Bragg left A.T.A on 30 September 1945. She and Peter visited her old school that year. In the 1946 New Year Honours Joan Hughes, Rosemary Rees, and Cassandra Felicity Bragg were appointed Member, Order of the British Empire. Marion Wilberforce was offered the M.B.E. but declined to accept it. Post-war, Felicity was in no mood to give up flying. Her son was born in January 1948. That same year she flew friends through France and Spain. In July 1949 she took part in the RAF Week in Bristol. By now she was part of W.R.A.F.V.R Reserve Flying School at Woodley, Reading. She was one of five women pilots in Tiger Moths in a fly past. 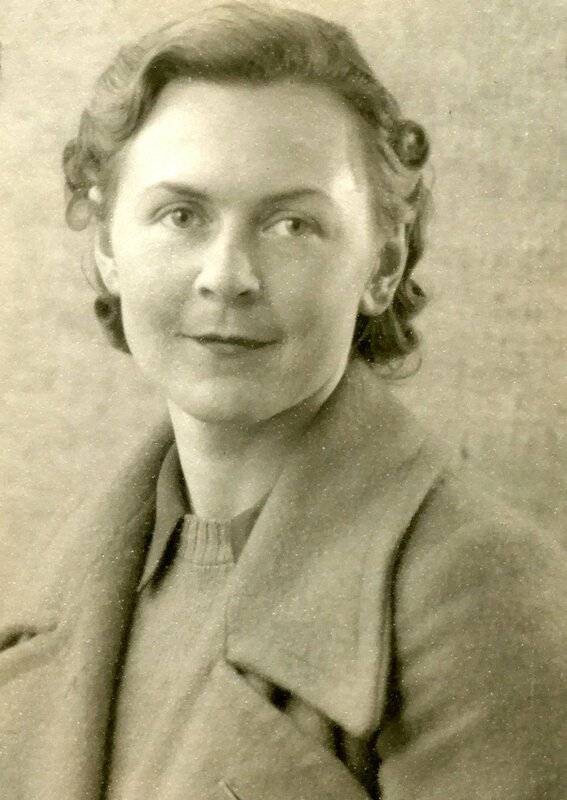 The Western Daily Press reported that Vera Strodl led four other pilots – Mrs Fay Bragg, Mrs Marigold Rowland, Miss Sheila Van Damm, and Mrs Ann Kendall. All of them (the reporter claimed) were, at one time A.T.A. pilots. Peter Bragg died in 1966. Felicity lived on until December 1984. She died in Midhurst, Sussex, age 69. Had she lived longer, her story would have been included in some of the more recent books and magazine reports about the A.T.A women. Overlooked until now, she is saluted here on Solent Aviatrix. Cassandra Felicity Bradford. Image courtesy of Royal Aero Club Trust. To learn more about the Austen family follow this link to Akin to Jane. Jane Austen’s House in Chawton, Hampshire. Copyright Anne Grant.